We’re delighted to announce that G4J will be returning to the North East this summer! 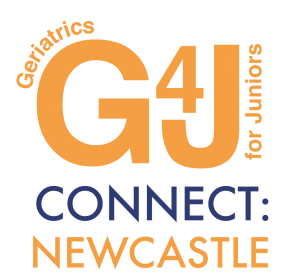 G4J Connect:Newcastle will be held on Monday 22nd June 2015, in the James Spence Lecture Theatre at Royal Victoria Infirmary, Newcastle, from 6.00pm to 8.30pm. The programme includes practical, engaging and entertaining sessions on various aspects of the clinical care of older patients, and on being a medical registrar – if you’re a junior doctor in the region and you look after older patients, you won’t want to miss this! Registration will be free, and refreshments/catering will be included, but places are limited and will be allocated on a first-come, first-served basis. For the full programme, and to register, visit the G4J Connect:Newcastle page. ← G4J Connect:Bristol – The Debrief!